This cotton, satin fabricated pink - off white suit is a great pick for this summer. 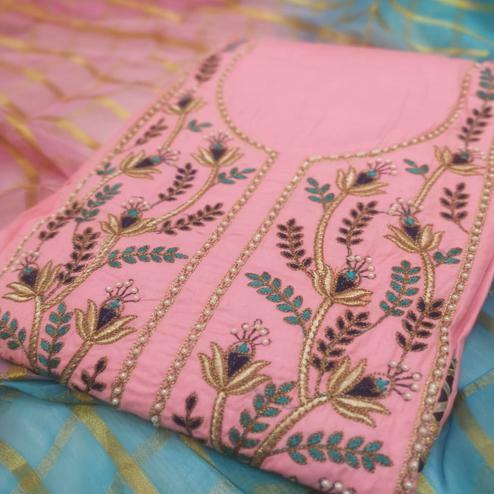 This semi stitched suit is detailed with decorative and floral digital prints all over top and floral kali embroidery work at neckline. 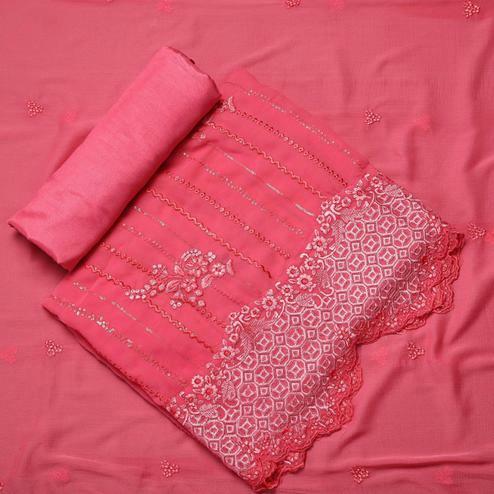 Teamed with pink cotton bottom and matching color viscose dupatta with print's. 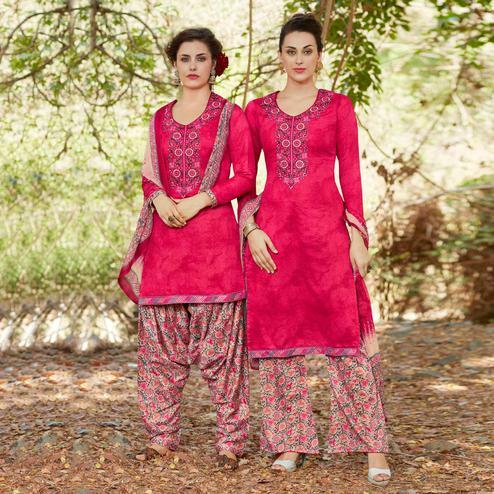 Once stitched you can wear this outfit for casual outings, work place or social get together.